This topic provides troubleshooting information for on-premises deployments of Microsoft Dynamics 365 for Finance and Operations. 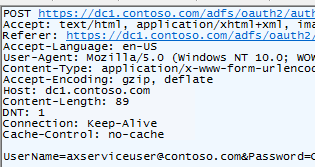 You can access Service Fabric Explorer in a web browser by using the default address, https://sf.d365ffo.onprem.contoso.com:19080. You can access the site only if the client certificate is in cert:\CurrentUser\My on the machine that you're accessing the site on. (In Certificate Manger, go to Certificates - Current User > Personal > Certificates.) When you access the site, select the client certificate when you're prompted. To determine the machine that is the primary instance for stateful services such as a local agent, in Service Fabric Explorer, expand Cluster > Applications > <intended application example> LocalAgentType > fabric:/LocalAgent/OrchestrationService > (GUID). The primary node is shown. For stateless services or the remaining applications, you must check all the nodes. OrchestrationService orchestrates the deployment and servicing actions for Finance and Operations. ArtifactsManager downloads files from Microsoft Azure cloud storage to the local agent file share. It also unzips the files into the required format. From the primary OrchestrationService orchestrator machine, in Event Viewer, go to Applications and Services Logs > Microsoft > Dynamics > AX-LocalAgent. To view the full error message, you must select the Details tab. Dvt – This command runs a deployment verification test. Cleanup – This command is used to service and delete an environment. To review Microsoft Dynamics entries in Event Viewer, follow these steps. In Event Viewer, right-click Custom Views, and then select Create Custom View. 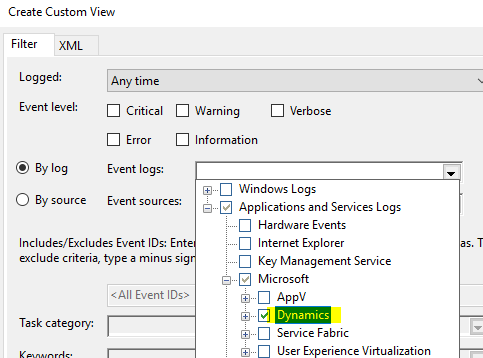 In the Event logs field, select Dynamics. Also look at Administrative Events in Custom Views. Note the state of the cluster, application, and nodes. For information about how to access Service Fabric Explorer, see Access Service Fabric Explorer. Error: "Partition is below target replica or instance count"
This error isn't a root error. It indicates that the status of each node isn't ready. For AXSFType (AOS), the status might still be InBuild. On the machines that are related to the error message, use Event Viewer to view the latest activity. If a status of InBuild is shown for AXSFType (AOS), review the DB Sync status and other events from Application Object Server (AOS) machines. Error: "'ExtractInstallerService failed to extract' C:\Users\dynuser.CONTOSO\AppData\Local\Temp\1blssblh.w0n\FabricInstallerService.Code\FabricClient.dll"
"ExtractInstallerService failed to extract" C:\Users\dynuser.CONTOSO\AppData\Local\Temp\1blssblh.w0n\FabricInstallerService.Code\FabricClient.dll. If you receive this error, download the latest version of Azure Service Fabric. Note that the user name and path in the error message vary, depending on your environment. You can find more details about Service Fabric applications in the log files at C:\ProgramData\SF\<OrchestratorMachineName>\Fabric\work\Applications\LocalAgentType_App<N>\log. Note the current deployment status for the environment in Microsoft Dynamics Lifecycle Services (LCS). Run Test-D365FOConfiguration.ps1 as noted in the "Set up a standalone Service Fabric cluster" section of the appropriate setup and deployment topic for your environment. Note any errors. Verify that the Service Fabric Server client certificate exists in the LocalMachine store on all Service Fabric nodes. Verify that the Service Fabric Server certificate has the access control list (ACL) for Network Service on all Service Fabric nodes. Review the antivirus exclusions that are noted in Environment setup. Only one node type is supported for each Internet Protocol (IP) address (that is, for each machine). Check whether the nodes are being reused on the same machine. For example, AOS and ORCH must not be on the same machine, and ConfigTemplate.xml must be correctly defined. We recommend that you use LCS to remove or clean up deployments. However, you can also use Service Fabric Explorer to remove an application as you require. In Service Fabric Explorer, go to Application node > Applications > MonitoringAgentAppType-Agent. Select the ellipsis button (...) next to fabric:/Agent-Monitoring, and delete the application. Enter the full name of the application to confirm the deletion of the application. You can also remove MonitoringAgentAppType-Agent by selecting the ellipsis button and then selecting Unprovision Type. Enter the full name to confirm the removal of the application. The following script removes and unprovisions all Service Fabric applications except LocalAgent and the monitoring agent for LocalAgent. You must run this script on an orchestrator virtual machine (VM). To completely remove the Service Fabric cluster, follow these steps. If an error occurs, remove a specific node on the cluster by using the CleanFabric.ps1 command. You can find this command in C:\Program Files\Microsoft Service Fabric\bin\fabric\fabric.code. Remove the C:\ProgramData\SF folder, if you're using the default location. Otherwise, remove the specified folder. If you receive an "Access denied" error, restart Microsoft Windows PowerShell or the machine. To clean up an existing environment and redeploy, follow these steps. In LCS, open the project, and then, in the Environments section, delete the deployment. The applications should start to disappear from Service Fabric Explorer in the environment. This process will take one to two minutes. Run the local agent cleanup. If any nodes fail, run the CleanFabric.ps1 command. You can find this command in C:\Program Files\Microsoft Service Fabric\bin\fabric\fabric.code. Remove the C:\ProgramData\SF\ folder on all Service Fabric nodes. If you receive an "Access denied" error, restart the machine, and try again. Remove or update certificates as required. Remove old certificates from all AOS, BI, ORCH, and DC nodes. The certificates exist in the following certificate stores: Cert:\CurrentUser\My\, Cert:\LocalMachine\My, and Cert:\LocalMachine\Root. If the setup of Microsoft SQL Server will be modified, remove the SQL Server certificates. If the settings for Active Directory Federation Services (AD FS) will be modified, remove the AD FS certificate. In LCS, open the project, and update the LCS on-premises connector as required. Re-create the LCS on-premises connector for the environment, or edit the settings of an existing connector. To obtain easy-to-copy values for LCS, use the .\Get-AgentConfiguration.ps1 script. Download the latest local agent configuration, localagent-config.json. Platform update 8 and Platform update 11. You can find local agent values in Service Fabric Explorer. Go to Cluster > Applications > LocalAgentType > fabric:/LocalAgent, and then select Details. Alternatively, run the following Windows PowerShell command. The Cleanup command doesn't remove any files that were put in the file share. The file share can be reused. Could not load file or assembly 'Lcs.DeploymentAgent.Proxy.Contract, Version=1.0.0.0, Culture=neutral, PublicKeyToken=31bf3856ad364e35' or one of its dependencies. This error means that strong name verification is turned on. You can turn off this verification by using Configure-PreReqs.ps1. To validate that strong name verification is no longer turned on, run Test-D365FOConfiguration.ps1. Follow these steps to troubleshoot general issues with local agent validation. Run Configure-PreReqs.ps1 on all orchestrator machines to configure the machines correctly. Verify that the Test-D365FOConfiguration.ps1 script passes on all the orchestrator machines. Verify that the installation of LocalAgentCLI.exe is successfully completed. In Service Fabric Explorer, verify that all the applications are healthy. Reason: These errors can occur because the certificate that is specified for the OnPremLocalAgent certificate either isn't valid or isn't correctly configured for the tenant. Steps: Follow these steps to resolve the error. Run Test-D365FOConfiguration.ps1 on all orchestrator nodes to make sure that all checks pass. Verify that the certificate that is specified in the local agent configuration is correct. Make sure that the thumbprint that you specify in LCS and in the ConfigTemplate.xml file has no special characters. The certificate should be the same certificate that is specified in the following section in infrastructure\ConfigTemplate.xml. Specify the correct certificate in the local agent configuration, and download the configuration file again. Install the local agent again by using the new configuration file. Error: During servicing, you receive an "Unable to download asset" error, and the details state, "The credentials supplied to the package were not recognized." Reason: The ACL wasn't correctly defined on certificates. Check whether ACL was removed from client certificate on orchestrator machines. Run the .\Test-D365FOConfiguration.ps1 script on orchestrator machines, and verify the ACL. To resolve the error, run the .\Set-CertificateAcls.ps1 script to reset the ACLs. Access to the path '\...\agent\assets\StandAloneSetup-76308-1.zip' is denied. Reason: The file share that is specified in the local agent configuration isn't valid. Verify that the specified share exists. Verify that the local agent user has full permission on the share. The local agent user is the Domain Name System (DNS) name that is specified in the following section in ConfigTemplate.xml. Specify the correct file share in the local agent configuration, and download the configuration file again. Reason: The file share has been removed or changed. Reason: The local agent user can't connect to the orchestrator database. This issue can occur because users have been deleted and then re-created in Active Directory Domain Services (AD DS). Therefore, the security identifier (SID) of the user has changed, and any access that was given to the user for the SQL Server instance or the database no longer works. Run the following script on the SQL Server instance. This script creates an empty orchestrator database, if an empty database doesn't already exist. It then adds the local agent user to the database and gives it db_owner permission. After the correct permissions are provided, the application should automatically go to a healthy state. If any settings, such as the fully qualified domain name (FQDN) of the SQL Server instance, the database name, or the local agent user, were provided incorrectly in LCS, change the settings, and then reinstall the local agent. If the preceding steps don't resolve the error, manually remove the local agent user from the SQL Server instance and the database, and then rerun the Initialize-Database script. If you re-create a user in AD DS, remember that the SID will change. In this case, remove the previous SID for the user, and add a new SID. Verify that you have access to the SQL Server listener. If you're doing testing, you can start over and use an empty orchestrator database. When you performing the Configure the databases procedure, if the SQL Server instance is a named instance, use the -DatabaseServer [FQDN/Instancename] parameter. The local agent user can't connect to the SQL Server instance or the database. Delete the svc-LocalAgent user from the SQL Server primary node databases, and then remove the login from both servers. These scripts don't work when an always-on setup is used. The database must first be created in the primary node and then replicated. Reason: The local agent machines can't connect to lcsapi.lcs.dynamics.com. Review the AX-BridgeService event log for "The remote name could not be resolved: 'lcsapi.lcs.dynamics.com'." If you don't receive a response from the preceding command, contact the IT department at your organization. Either the firewall is blocking access to lcsapi, or proxy issues are occurring. In Service Fabric, expand Nodes > AOSx > fabric:/AXSF > AXSF > Code Packages > Code. Select the ellipsis button (...), and then select Restart. When you're prompted, enter the code. Unhealthy event: SourceId='System.UpgradeOrchestrationService', Property='ClusterVersionSupport', HealthState='Warning', ConsiderWarningAsError=false. The current cluster version 6.1.467.9494 support ends 5/30/2018 12:00:00 AM. Please view available upgrades using Get-ServiceFabricRegisteredClusterCodeVersion and upgrade using Start-ServiceFabricClusterUpgrade. Because the minimum requirement is one Microsoft SQL Server Reporting Services (SSRS) node and one Management Reporter node, you must pass in a parameter to skip PreUpgradeSafetyCheck. Follow these steps to upgrade Service Fabric in Windows PowerShell. Connect to the Service Fabric cluster. In the following command, replace 123 with the server/star thumbprint, and use the appropriate IP address. Get the latest version that was downloaded. Start the upgrade. For -CodePackageVersion, enter the latest version. -UpgradeReplicaSetCheckTimeout is used to skip PreUpgradeSafetyCheck for SSRS and Management Reporter. For more information, see Service Fabric service upgrade not working. You might also want to use -UpgradeDomainTimeoutSec 600 -UpgradeTimeoutSec 1800. For more information, see Application upgrade parameters. For more information, see Troubleshoot application upgrades. To learn when a new Service Fabric release comes out, see the Azure Service Fabric team blog. If you receive a warning in Service Fabric Explorer after you upgrade, make a note of the node, and then restart by expanding Nodes > AOSx > fabric:/AXSF > AXSF > Code Packages > Code. Select the ellipsis button (...), and then select Restart. Error: "Unable to load DLL 'FabricClient.dll'"
If you receive an error that states, "Unable to load DLL 'FabricClient.dll'," close and restart Windows PowerShell. If the error persists, restart the machine. What cluster ID should be used in the agent configuration? The cluster ID can be any globally unique identifier (GUID). This GUID is used for tracking purposes. Some examples of encryption errors include "AXBootstrapperAppType," "Bootstrapper," "AXDiagnostics," "RTGatewayAppType," "Gateway potential failure related," and "Microsoft.D365.Gateways.ClusterGateway.exe." You might receive one of these errors if the data encipherment certificate that was used to encrypt the AOS account password wasn't installed on the machine. This certificate might be in the certificates (local computer), or the provider type might be incorrect. To resolve the error, validate the credentials.json file. Verify that the text is correctly decrypted by entering the following command (on AOS1). A closing quotation mark appears at the end of the line or on the next line. In Event Viewer, under Custom Views > Administrative Events, note any errors in the Microsoft-Service Fabric source category. Is self-signed certificate – Enable this parameter only when you're using self-signed certificates. Certificate purposes – Enable all purposes for this certificate. Signature algorithm – Specify sha256RSA. Signature hash algorithm – Specify sha256. Issuer – Specify CN = DataEncryptionCertificate. Public Key – Specify RSA (2048 bits). Thumbprint algorithm – Specify sha1. Don't use self-signed certificates in production environments. Instead, use certificates that are issued by certificate authorities. If you're missing a certificate and ACL, or if you have the wrong thumbprint entry, check for special characters, and look for thumbprints in C:\ProgramData\SF\<AOSMachineName>\Fabric\work\Applications\AXBootstrapperAppType_App<N>\log\ConfigureCertificates-<timestamp>.txt. You can also validate the encrypted text by using the following command. If you receive the message, "Cannot find the certificate and private key to use for decryption," verify the axdataenciphermentcert and svc-AXSF$ AXServiceUser ACLs. If the credentials.json file has changed, delete and redeploy the environment from LCS. If none of the preceding solutions work, follow these steps. Verify that the domain name and Active Directory account names that are specified in the ConfigTemplate.xml file are correct. Verify that the thumbprints that are specified in the ConfigTemplate.xml file are correct if the certificate wasn't generated by using the scripts that are provided. Verify that the certificate thumbprints that are specified in LCS are correct, and that they match the thumbprints that are specified in ConfigTemplate.xml. Make sure that there are no special characters. You can run .\Get-DeploymentSettings.ps1 to obtain the thumbprints in an easy-to-copy manner. Verify that the Set-CertificateAcls.ps1 and Test-D365FOConfiguration.ps1 scripts were successfully run on all Service Fabric machines. Verify that the credentials.json file exists, and that the entries are decrypted to correct values. On one of the AOS machines, run the following command to verify that the data encryption certificate is correct. Edit the ConfigTemplate.xml file so that it has the correct values. Run all the setup scripts and the Test-D365FOConfiguration script. In LCS, reconfigure the environment. Additional logging can be done by registering providers. Download ETWManifest.zip to the primary orchestrator machine, and then run the following commands. To determine which machine is the primary instance, in Service Fabric Explorer, expand Cluster > Applications > LocalAgentType > fabric:/LocalAgent/OrchestrationService > (GUID). If you must unregister providers, use the following command. To see the new folders, you must close and reopen Event Viewer. To see additional details, you must deploy an environment again. If you receive an error while you run AddAXDatabaseChangeTracking at Microsoft.Dynamics.Performance.Deployment.FinancialReportingDeployer.Utility.InvokeCmdletAndValidateSuccess(DeploymentCmdlet cmdlet), verify that the full path is correct. An example of a full path is ax.d365ffo.onprem.contoso.com. The error might also occur because of an issue with the star certificate. For example, the remote certificate CN=*.d365ffo.onprem.contoso.com has a name that isn't valid or that doesn't match the host, ax.d365ffo.onprem.contoso.com. If you receive only the AddAXDatabaseChangeTracking event, try to reach the MetadataService service for Finance and Operations by going to https://ax.d365ffo.contoso.com/namespaces/AXSF/services/MetadataService. If the thumbprints don't meet both these requirements, you must redeploy from LCS by using correct thumbprints. The remote name could not be resolved: 'x.d365fo.onprem.contoso.com' / There was no endpoint listening at https://x.d365fo.onprem.contoso.com/namespaces/AXSF/services/MetadataService that could accept the message. Reason: This issue is often caused by an incorrect address or SOAP action. Steps: Verify that the address can be reached, by manually opening the URL. For more details, see the "InnerException" text in the Event Viewer, if it's present. If Management Reporter reports are checked out during deployment, the deployment will fail. To see whether reports are checked out, run the following select statements on the FinancialReporting database. To learn which user has objects checked out, you can run the following select statement. To resolve this issue manually, update the following tables, and set checkedoutto to null by using the following commands. Reason: The user doesn't have permission to connect to the AXDB database. Remove the axdbadmin user from the database, if it already exists. In the ConfigTemplate.xml file, specify the user name that must be added to the AXDB database. Run the initialize database script again to add the axdbadmin user. Therefore, the fact that the xPath value can't be resolved isn't an issue. The xPath value looks for AOS runtime user information. However, because of integrated security, that information isn't required. The fact that the xPath value can't be resolved is communicated in case the failure must be investigated for another reason. Add the AD FS link to the list of trusted sites. Add the Dynamics 365 link to the list of trusted sites. Add a trailing slash (/), and see whether the behavior changes. Verify the AD FS Manager by going to ADFS > Application groups. Double-click Microsoft Dynamics 365 for Operations on-premises. Then, under Native application, double-click Microsoft Dynamics 365 for Operations on-premises - Native application. Note the Redirect URI value. It should match the DNS forward lookup zone for Finance and Operations. Error: "Could not establish trust relationship for the SSL/TLS secure channel"
If you receive an error that states, "Could not establish trust relationship for the SSL/TLS secure channel," follow these steps. In Service Fabric, go to Cluster > Applications > AXSFType > fabric:/AXSF, and then, on the Details tab, scroll down and note the URLs for Aad_AADMetadataLocationFormat and Aad_FederationMetadataLocation. Browse to those URLs from AOS. On the AOS machine, in Event Viewer, go to Applications and Services Logs > Microsoft > Dynamics > AX-SystemRuntime for details. Verify the AD FS certificate. On the AD FS machine, in Server Manager, go to Tools > AD FS Management. Expand AD FS > Service > Certificates, and make a note of the certificates. For example, one certificate might be dc1.contoso.com. On the AOS machine, in the Microsoft Management Console Certificates snap-in, go to Certificates (Local Computer) > Trusted Root Certification Authorities > Certificates, and verify that the AD FS certificate is listed. If you receive a message that states that the site isn't secure, you haven't added your Secure Sockets Layer (SSL) certificate for AD FS to the Trusted Root Certification Authorities store. You can also use Psping to try to reach the remote server. For information about Psping, see Psping. If the values aren't valid, you won't be able to proceed, and you must redeploy from LCS. IDENTITYPROVIDER: This should match the NETWORKDOMAIN value. On the AD FS machine, in Server Manager, go to Tools > AD FS Management > Service. Right-click Service and Edit Federation Service Properties. 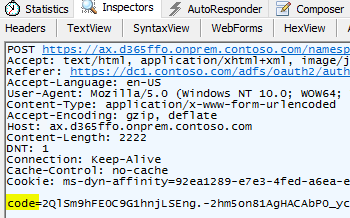 The Federation Service identifier value should match the USERINFO.NETWORKDOMAIN value, and it should have https in the URL (for example, https://DC1.contoso.com/adfs). On the AD FS machine, in Event Viewer, go to Applications and Services Logs > AD FS > Admin, and make a note of any errors. Fiddler can be used for additional debugging. For in-depth information about Fiddler, see AD FS 2.0: How to Use Fiddler Web Debugger to Analyze a WS-Federation Passive Sign-In and Cracking the AD FS Token from another AD FS Claims Provider. The following sections provide focused debugging steps for claims that are returned to Microsoft Dynamics. Open Fiddler, go to Tools > Options > HTTPS, and select Decrypt HTTPS traffic. Start to capture traffic (the shortcut key is F12). You can verify that that traffic is being captured by looking at the lower left of the tool. Open an InPrivate instance of Internet Explorer or an Incognito instance of Chrome. Open Finance and Operations (for example, https://ax.d365ffo.onprem.contoso.com/namespaces/AXSF/). Sign in by using the USERINFO.NETWORKALIAS account and password. After you're signed in, stop Fiddler from capturing traffic. In the right pane of Fiddler, notice that a horizontal divider separates the request from the response. Unlike a network trace, where you typically get one frame for a request and another frame for a response, Fiddler provides one frame that contains both the request and the response. In Fiddler, in the upper-right corner, select Inspectors > Raw. In the lower-right corner, select Cookies. Do a search for MSISAuth. Select the row that has a result of 200 for the AD FS host. Look above the row that you just selected to find a row that has a result of 302. Select the row. You should see the AD FS URL, host, user name, and password. For privacy, you might have to scrub personally identifiable information. Select the next row that has a result of 302. The URL should be .../namespaces/AXSF/. Find the code line that is shown on that row. Copy the value of code line after the equal sign (=). Go to https://www.base64decode.org/, and paste the code that you just copied. In the Source charset field, select ASCII. Make sure that the upn value matches the user name. Make sure that the unique_name value is the Active Directory user that is being tested. Go to Active Directory Users and Computers > domain > Users, and make sure that this user is being tested. If you or other users experience sign-in issues, in Service Fabric Explorer, verify that the Provisioning_AdminPrincipalName and Provisioning_AdminIdentityProvider values are valid. If the values are valid, run the following command on the primary SQL Server machine. On each AOS machine, in Task Manager, select AXService.exe, and then select End task. To verify that a user has been reset, run the following select query in the AXDB SQL database. In an Azure Active Directory (Azure AD) environment (that is, an online environment), the SID is a hash of a network alias and a network domain. In an AD DS environment (that is, an on-premises environment), the SID is a hash of a network alias and an identify provider. You are not authorized to login with your current credentials. You will be redirected to the login page in a few seconds. If this error occurs, follow these steps. On the AD FS machine, go to Server Manager > Tools > AD FS Management. Right-click AD FS, and then select Edit Federation Service Properties. Make sure that the Federation Service Identifier value matches the Userinfo.NetworkDomain and UserInfo.IdentityProvider values. On the AD FS machine, open Windows PowerShell, and run Get-AdfsProperties. Make sure that the IdTokenIssuer value matches the Federation Service Identifier value from step 3, and also the Provisioning_AdminIdentityProvider value on the fabric:/AXSF Details tab at Service Fabric Explorer > Cluster > Applications > AXSFType. In Service Fabric Explorer, verify that the Provisioning_AdminPrincipalName and Provisioning_AdminIdentityProvider values are valid. If the preceding steps don't resolve the issue, see the AD FS section of this topic. In this case, either the certificates haven't been installed, or they haven't given access to the correct users. To resolve this error, add the public key SQL Server certificate to all the Service Fabric nodes. Copy the scripts in each folder to the VMs that correspond to the folder name. Additionally, check the .csv file to verify that the correct domain is used. Error: "RunAsync failed due to an unhandled FabricException causing replica to fault"
In this case, in the ClusterConfig.json file, change diagnosticsStore from a network share to a local path. For example, change \\server\path to a default value of C:\ProgramData\SF\DiagnosticsStore. Only one AOS machine can run DB Sync at a time. You can safely ignore this error, because it means that one of the AOS VMs is running DB Sync. Therefore, the other VMs produce a warning that they can't run it. To verify that DB Sync is running, on the AOS VM that isn't producing warnings, in Event Viewer, go to Applications and Services Log > Microsoft > Dynamics > AX-DatabaseSynchronize/Operational. Error: "RequireNonce is 'true' (default) but validationContext.Nonce is null"
This error also appears as an HTTP error 500 in Internet Explorer after you sign in to the client. The nonce that is issued can't be validated if Internet Explorer is in Enhanced Security Configuration. To sign in to the client, disable Enhanced Security Configuration for Internet Explorer via Server Manager. Error: "Invalid algorithm specified / Cryptography"
If you receive an "Invalid algorithm specified / Cryptography" error, you must use the Microsoft Enhanced RSA and AES Cryptographic Provider. For more information, see the certificate requirements. Additionally, verify that the structure of the credentials.json file is correct. If you must re-create the certificate by using the correct provider, follow these steps. Create the certificate again by using the correct provider. Run the infrastructure scripts on all machines in the cluster, and make sure that the Test-D365FOConfiguration.ps1 script passes. Reconfigure the environment from LCS. If you receive an "Unable to find certificate" error when you run Test-D365FOConfiguration.ps1, check whether certificates or thumbprints are being combined for multiple purposes. For example, you will receive this error if the client certificate and the SessionAuthentication certificate are combined. We recommend that you not combine certificates. For more information, see the certificate requirements, and check the acl.csv file for domain.com\user versus domain\user (for example, NETBIOS structure). To find a list of all groups and hosts, run the following command. AddCertToServicePrincipal script failing on Import-Module : Could not load file or assembly 'Commands.Common.Graph.RBAC, Version=1.0.0.0, Culture=neutral, PublicKeyToken=31bf3856ad364e35' or one of its dependencies. Strong name validation failed. (Exception from HRESULT: 0x8013141A) may have multiple versions of the same module installed. Steps: To resolve this issue, follow these steps. Run the following command in Windows PowerShell. Close the Windows PowerShell window, and try to run the script again. Reason: If you receive this error, strong name validation is enabled in the Reporting server, but it should not be enabled. Steps: To resolve this issue, run the config-PreReq script on the Reporting server machine. This issue occurs because AOS users aren't in the local administrator group, and User Account Control (UAC) hasn't been disabled correctly. To resolve the issue, follow these steps. Run the Config-PreReq script on all the AOS machines. Make sure that the Test-Configuration script passes. If UAC was changed, you must restart the machine before the changes take effect. If these "Files in use" errors occur, set up the exclusion rules that Service Fabric advises. For information, see Environment setup. To work around this issue, shorten the package name, and then apply the package again. Alternatively, shorten the overall length of the share path for the on-premises assets. In this case, the version of the environment where the package was developed might differ from the version of the environment that the package is being deployed in. To work around this issue, keep the development or build environments on the same version as the deployed on-premises environment. You can confirm the package version by looking in the Additional details section in the Asset library where the package is uploaded. To fix the error, generate the package on a version that is the same as or earlier than the version that is deployed in the on-premises environment. To confirm the issue and find the missing dependencies, in Event Viewer, open Application and Services, and then go to Microsoft > Dynamics > AX-SetupModuleEvents to view events that have missing modules. For example, one of the modules that is typically missing is ApplicationFoundationFormAdaptor. To fix this issue and successfully apply the package, either add dependent modules, or remove modules that require dependent modules. To add dependent modules, you must include the dependencies when you build the package. To remove modules, you can use ModelUtil.exe to delete a module. For more information, see Export and import a model. A one-box environment might have all the modules installed, whereas the sandbox environment might have only the modules that are required in order to run your production environment. If the package that was built in the dev environment has a dependency on modules that are present in the one-box environment but not in the sandbox environment, the package won't work in the sandbox environment. To resolve this issue, look at all the modules that you're dependent on, and make sure that you don't pull any farm adapter or any other module that isn't required in the production environment. The best practice is to take the package from the build box. Follow these steps to configure the local agent with the updated tenant. Create a new LCS connector in the new tenant. .\Publish-ADFSApplicationGroup.ps1 -HostUrl https://ax.d365ffo.onprem.contoso.com New-AdfsApplicationGroup : MSIS9908: The application group identifier must be unique in AD FS configuration. You can skip or modify the following sections in the deployment instructions. You must use the same on-premises local agent certificate. You can use same star certificates (AOS SSL and Service Fabric). The remaining certificates should probably differ from the certificates for the existing environment. The scripts that are downloaded should be copied into a new folder. You must complete this task only one time for the tenant. You can skip scripts 1, 2, and 3, because they have already been done. The .\Publish-ADFSApplicationGroup.ps1 script will fail even when the new hosturl value is used. Therefore, you must manually complete these steps. In AD FS Manager, go to AD FS > Application groups, and open Microsoft Dynamics 365 for Operations On-premises. Open the Microsoft Dynamics 365 for Operations On-premises - Native application native application. Add the redirect URI of the new environment (DNS). Open the Microsoft Dynamics 365 for Operations On-premises - Financial Reporting - Native application native application. Add the redirect URI of the new environment (DNS). Open the Microsoft Dynamics 365 for Operations On-premises - Web API Web API. Add the two entries of the redirect URI of the new environment (DNS). Open the Microsoft Dynamics 365 for Operations On-premises - Financial Reporting Web API Web API. Add the redirect URI of the new environment (DNS). Delete the entry in SF.SyncLog, and then restart one of the AOS machines. The AOS machine will rerun DB Sync and then deploy reports. When SQL Server is restarted, the tempdb database is re-created. Therefore, there will be missing permissions. Run the following script to create a stored procedure on the master database. Error: "Updates to existing credential with KeyId '<key>' is not allowed"
The steps to resolve this issue depend on whether you have only an on-premises project, or whether you have both an online project and an on-premises project. If have only an on-premises project, you can't update the existing credential with KeyId '<key>'. New-AzureRmADSpCredential : Update to existing credential with KeyId '<key>' is not allowed. Run the following PowerShell command to resolve the issue. If you have both an online project and an on-premises project, follow these steps. Verify that the Microsoft .NET Framework version 4.7.2 is installed. Run the following Windows PowerShell script to install the Azure PowerShell module. Run the following Windows PowerShell script to upload the new certificate. throw "Unable to find the certificate in the Local machine or Current User store"
throw "Unable to find the service principal"
Run the following command to remove the duplicate certificate, if more than one certificate exists. The latest platform binary update uses Open Database Connectivity (ODBC) driver 17. This upgrade resolves stability issues that are linked to older ODBC drivers. The Setup perquisites documentation has been updated to reflect the change in which ODBC driver 17 must be installed on each AOS server. If you don't install ODBC driver 17, you will receive DB Sync errors during servicing of the environment. Unhealthy event: SourceId='System.RA', Property='ReplicaOpenStatus', HealthState='Warning', ConsiderWarningAsError=false. Recent versions of Windows PowerShell might cause a "No subscription found in the context" error. To resolve this issue, install and load an older version of Windows PowerShell, such as version 5.7.0. Steps: To resolve this issue, restart the application package that generated the warning message. For more information, see Restart applications (such as AOS). This database synchronization error can cause an old platform build (Platform update 12) to be deployed on top of a database that had a newer build (Platform update 15). To resolve this issue, note the SYSTIMEZONESVERSION value. Update the value to the version that was returned in the error message. Make sure that all network printers that have been installed on the AOS server are running as the Windows service account that the AXService.EXE process is running as. In Platform update 20 and later, there is database synchronization log issue where the synchronization logs aren't written under Ax-DatabaseSynchronize in Event Viewer. To resolve this issue, go to <SF-dir>\AOS_<x>\Fabric\work\Applications\AXSFType_App<X>\log. For example, go to C:\ProgramData\SF\AOS_11\Fabric\work\Applications\AXSFType_App183\log. Here, you can see the output from DatabaseSynchronize in the Code_AXSF_M_<X>.out files. Troubleshoot any issues that pertain to this component. You can't access Finance and Operations: "AADSTS50058: A silent sign-in request was sent but no user is signed in"
AADSTS50058: A silent sign-in request was sent but no user is signed in. The cookies that represent the user's session weren't sent in the request to Azure AD. This issue can occur if the user is using Internet Explorer or Microsoft Edge, and if the web app that sends the silent sign-in request is in a different IE security zone than the Azure AD endpoint (login.microsoftonline.com). This issue occurs because there was a change in the Skype Presence API, and on-premises environments connect to this API by default. To resolve the issue, run the following SQL Server query. Alternatively, turn off the Skype presence enabled option on the Client performance options page (System administration > Setup > Client performance options). To use this approach, you must be able to sign in to Finance and Operations. Therefore, you must first block redirection in the browser. After you disable the Skype presence, you can unblock redirection again. The Google Chrome browser blocks redirection by default. Error: "There was an error during CodePackage activation. Service host failed to activate. Error:0x8007052e"
This error will cause the AXSF service to fail with the same error. In the agent share path, find the netstandard.dll file. For example, this file might be at \wp\<name>\StandaloneSetup-<ver>\Apps\AOS\AXServiceApp\AXSF\Code\bin\netstandard.dll. On each AOS server, open a Command Prompt window as an administrator, and run the following command. Delete AXBootstrapperApp from Service Fabric. Redeploy the environment from LCS. The process cannot access the file 'C:\Program Files\Microsoft SQL Server\MSRS13.MSSQLSERVER\Reporting Services\ReportServer\bin\Microsoft.Dynamics.AX.Framework.Services.Platform.Client.dll' because it is being used by another process. This issue occurs because Reporting Services has a lock on a Microsoft Dynamics .dll file. We currently recommend that you have SQL Server 2016 service pack 2 installed on Reporting Services instances. You must have service pack 2 installed, and no additional cumulative updates or hotfixes must be installed.